Cataract is the clouding of the lens of the eye, which initially prevents clear vision and eventually progresses to blindness if left untreated. The World Health Organization (WHO) estimates that nearly 18 million people are bilaterally blind from cataract in the world, representing almost half of all global cases of blindness. Cataract remains the leading cause of blindness and an important cause of visual impairment across the globe. The main non-modifiable risk factor for cataract is aging. Other frequently associated risk factors are trauma, uveitis, diabetes, ultraviolet light exposure, and smoking. Children are occasionally born with cataracts, mainly due to genetic disorders. Women are at greater risk than men for developing cataracts and are less likely to have access to services. The number of people with cataract grows as the world population ages. Immediate visual rehabilitation is possible following cataract surgery, during which the cataract is removed and an intraocular lens (IOL) is inserted. Despite the fact that cataract is easily treated and cataract surgery is considered one of the most cost-effective interventions, in many remote and poor areas of the developing world, people remain blind from cataract, mainly due to a lack of access to eye care. The proportion of blindness due to cataract among all eye diseases ranges from 5% in developed countries to 50% or more in poor and/or remote regions. One ophthalmologist should be able to undertake as many as 2,000 or more cataract surgeries a year, provided that there are adequate support staff, infrastructure, and patients who are able and willing to access the facilities. There are two main indicators that measure cataract service delivery. The cataract surgical rate (CSR) is the number of cataract operations per million population per year. CSR serves as a quantifiable measure of cataract surgical service delivery, but this indicator is meaningful only when it includes all cataract surgeries performed in a country with a defined population size and age structure. Cataract surgical coverage (CSC) indicates the proportion of visually impaired individuals with bilateral cataract who were eligible for surgery and who received it. CSC is used to assess the degree to which needs are met by cataract surgical services; at least 85% coverage is needed to meet the needs and the demands of a population. Data are obtained from population-based surveys, the most common being the Rapid Assessment of Cataract Surgical Services (RACCS) and the Rapid Assessment of Avoidable Blindness (RAAB). There are three commonly employed surgical techniques for cataract removal: extracapsular cataract extraction (ECCE), phacoemulsification (phaco), and small incision cataract surgery (SICS). ECCE is the traditional method, which involves a standard incision to remove the nucleus of the lens and cortex and insert an IOL. This technique requires removable sutures and a longer recovery period. The complication rate is also higher. Phaco uses an ultrasound probe is used to fragment the lens, which is aspirated through a small incision. A foldable IOL is insert through the incision, and in most cases, sutures are not necessary. Phaco is the preferred cataract surgical method in developed countries, but large-scale implementation of phaco is challenging in developing countries due to the expense, lack of trained surgeons, and lack of trained technicians to maintain the more technologically advanced equipment. Phaco is more costly, mainly due to the foldable IOL. However, the rapid recovery period of this sutureless method is a cost-savings benefit, as patients can return to work and/or full productivity more quickly than with ECCE. Phaco is not ideal for hard, more mature cataracts, which are more often the case in developed countries and remote, poor communities, where patients tend to wait longer to be operated due to issues of affordability, accessibility and lack of awareness. SICS is a refined ECCE method, which may be an appropriate manual substitute to phaco in developing countries due to its lower cost, lesser technological requirements, its faster procedure, and comparable qualitative outcomes. Similar to phaco, a small incision and foldable IOL are used. SICS usually does not require sutures and has a faster recovery period than conventional ECCE but costs a fraction of the cost of phaco surgery in developing countries. The average time of a SICS procedure is significantly less than that of phaco, but both procedures have comparable outcomes. Cataract is included in most national plans for the prevention of blindness. CSRs are increasing in many countries. Cost-effective surgical techniques, such as SICS, have been developed and tested and are being improved continuously. There are also now available low-cost IOLS that are good quality. 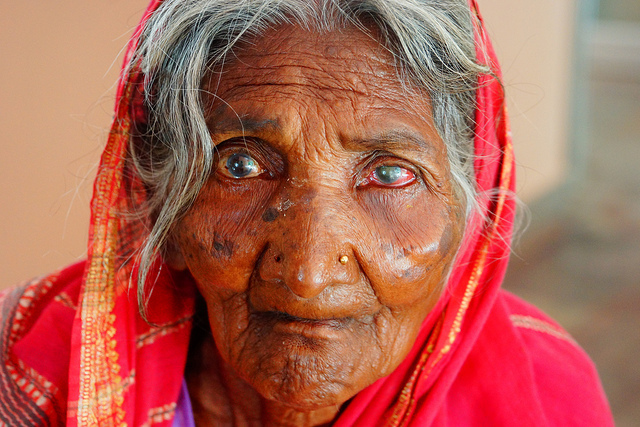 Cataract surgery can alleviate poverty. One year after cataract surgery, patients increase their productivity by an average of 1-2 hours per day, are more independent, and their per capita expenditure may increase to the levels of those who do not have visual impairment. The new WHO Action Plan mandates that national governments collect data on cataract indicators of blindness and visual impairment. Significant barriers to cataract are lack of awareness, shortage of trained eye health personnel, limited accessibility, high cost of treatment, and poor surgical outcomes. Other limitations are lack of public health resources and political will to address cataract. The uptake of high-quality, low-cost cataract service models is slower in developing countries, due to the local influence of the private sector and the presence of more expensive products on the market. A recent ICO study found that the global ophthalmic population is decreasing 1.7% year compared to the population increasing aged ≥60 years. A comprehensive strategy to cataract-service delivery is needed that integrates availability, affordability, accessibility, and acceptability of cataract care. According to the WHO, targets for the quality of cataract surgery will be met when at least 85% of operated eyes achieve a post-operative visual acuity of 6/18 or better. Good post-operative visual acuity is considered to be 6/6 – 6/18. The recently published PRECOG multicenter observational study assessed cataract surgical outcomes of 3,708 patients in 40 centers in 10 countries in Asia, Africa, and Latin America. The study findings emphasized that quality assessment training is urgently needed to reduce the burden of unoperated cataract. Early postoperative assessment of all patients and later assessment of those who return for follow-up unprompted can serve as qualitative indicators of hospital performance.